What's your fashion brand of choice? True or False: Monogram EVERYTHING. Did you grow up in a conservative/Republican family? How do you address your elders? I don't address my elders. You know what a cotillion is, AND you've been in one. Is it a dance thing like prom? Are you a Daddy's Girl or a Mommy's Girl? You know what a school in the SEC is, AND you went to one. Uhhh my school was NCAA? Yes! You're a true Southern belle, through and through. 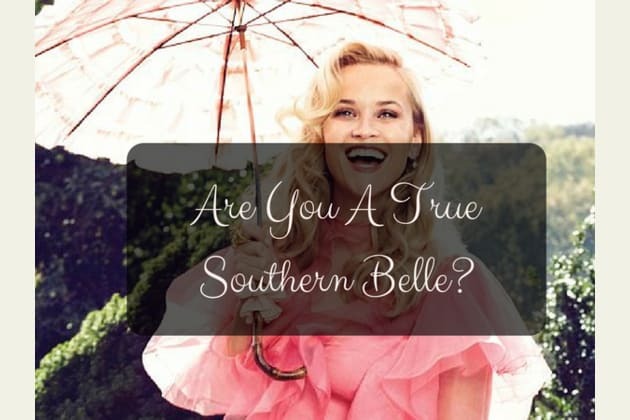 You're 100% a real, true Southern belle! Scarlett O'Hara is your homegirl. You were absolutely in a sorority when you were in college, which was also a SEC school, of course. Your true Southern roots will stay with you for life! You... are definitely not a Southern belle. Hey, so, you're not really a Southern belle. You're probably not from the South, either. And that's okay. You can still visit there, and see what all of the fuss is about. Be sure to pack your Lily Pulitzer and pearls!